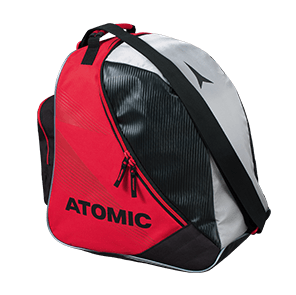 The Atomic Boot + Helmet Bag is our top new option for skiers who prefer a bag to a backpack. 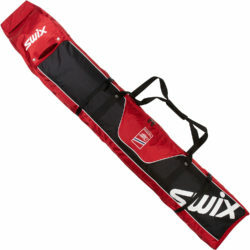 It has a main compartment for your boots, plus a dedicated helmet sleeve. Then it has side pockets for your goggles, gloves and anything else you don’t want to leave behind. 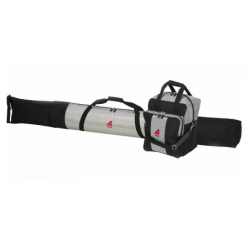 It’s made of tough polyester with TPE backing, with a fully water-resistant base so you can put it down anywhere. 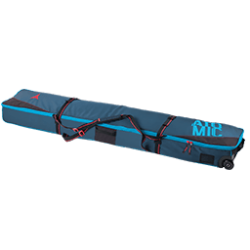 There’s an adjustable shoulder strap, padded mesh handle, a boot board to keep your socks clean and dry while you’re changing, plus ventilation holes so it never gets stuffy. 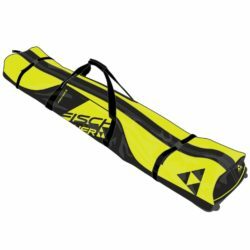 As the name suggests, the Atomic AMT Tail Wheelie 2 Pair Ski Bag is big enough to comfortably take two pairs of skis and poles.